July is the start of the long school holidays. I hope you are prepared. It can be difficult if you are a single parent or at work. Try to plan your time at home with family time. You could hang out at the beach or take long walks through the forest or by the lake. You can take a picnic with you. Just make sure it is easy to prepare and pack. Plan ahead. You will not feel like doing anything when you get home from work, believe me. The kids will enjoy having you with them and it will create memories for when they have their own children. The fresh air and sunshine is more relaxing than sitting in front of the TV with a glass of wine. Don’t forget to take some Lavender Hydrosol with you. It is very cooling and is great for wiping sticky hands and faces. I use 1 drop of Lavender essential oil on mosquito bites. Bring sunscreen, of course, as well as a plastic bag to bring home any leftover garbage. You do not want to leave anything behind for the bears. I mentioned in last months newsletter that I would talk about Copaiba, one of our new essential oils. Copaiba Balsam essential oil is relatively new so when our customers started asking questions about it we thought we had better look into it. This essential oil is classed as a base note and it is steam distilled from the resin of the tree. This interesting oil has been used for many years for healing by the local people. It is just making its entrance into the rest of the world. There is a long list of healing properties for helping with many ailments. Black Spruce Hydrosol is a perfect choice for the adrenal glands. It is known to support and strengthen during times of stress and fatigue. This hydrosol is the same species as the essential oil, Picea mariana. When the plant material is steam distilled, the hydrosol sinks to the bottom and the essential oil floats on top. 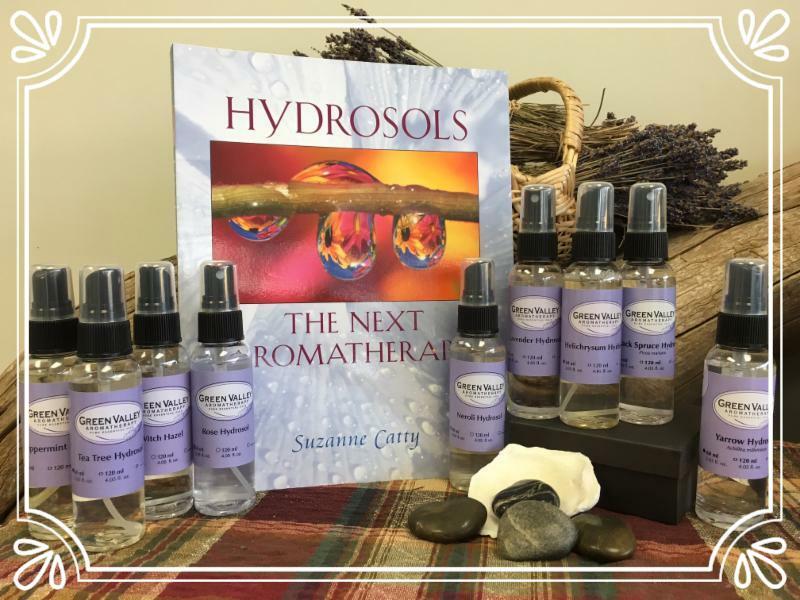 The hydrosol of any plant has the same properties as the essential oil. Black Spruce is very grounding and can be used for upper respiratory issues. Most muscular rheumatism and aches and pains will feel the benefit after a few sprays of Black Spruce Hydrosol. People with hypothyroidism may also benefit from this hydrosol. You can keep the 60ml spray bottle in your purse or pocket. Whenever you are feeling a little sluggish you can give the base of your neck 2 sprays of Black Spruce Hydrosol. It will perk you up in no time. In general Black Spruce Hydrosol is stimulating, diuretic, astringent, antitussive and antimicrobial. It makes a great aftershave. Black Spruce connects us with nature and the wisdom of the trees. It is also well accepted with animals. If you are treating for fleas, you can spray the animal as you are using a flea comb. Summer Days is a natural perfume with lots of extras. This blend comprises of Palmarosa essentilal oil, Geranium essential oil, Ylang Ylang essential oil, Camphor essential oil, Lemongrass essential oil and Vanilla. 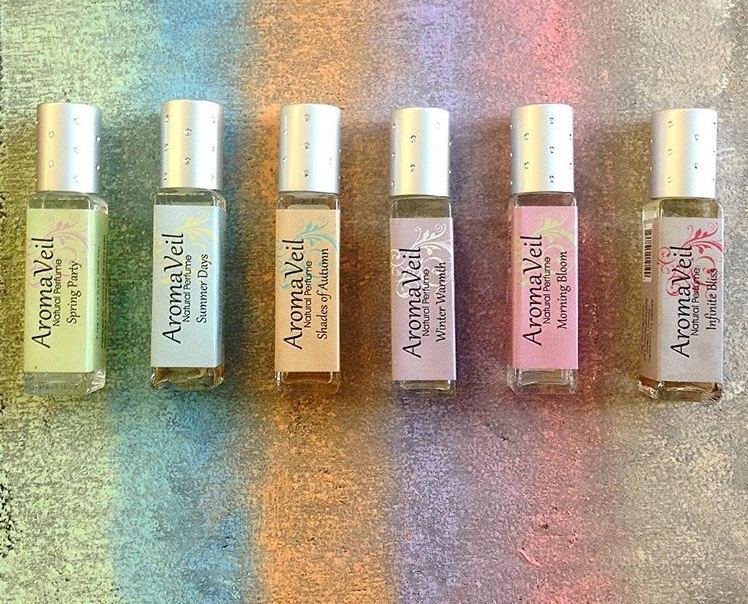 Summer Days started out as part of our AromaVeil line, based in coconut oil in a 7ml roller bottle. The aroma of Summer Days was a hit so we have made it available as a diffuser blend as well, without the coconut oil. The six oils that make up Summer Days, besides having great aromas, have lots of great properties. They work well together and cover many conditions including: digestive stimulant, calming, antioxident, sedative, aphrodisiac, balancing, diuretic, stimulant and much more. 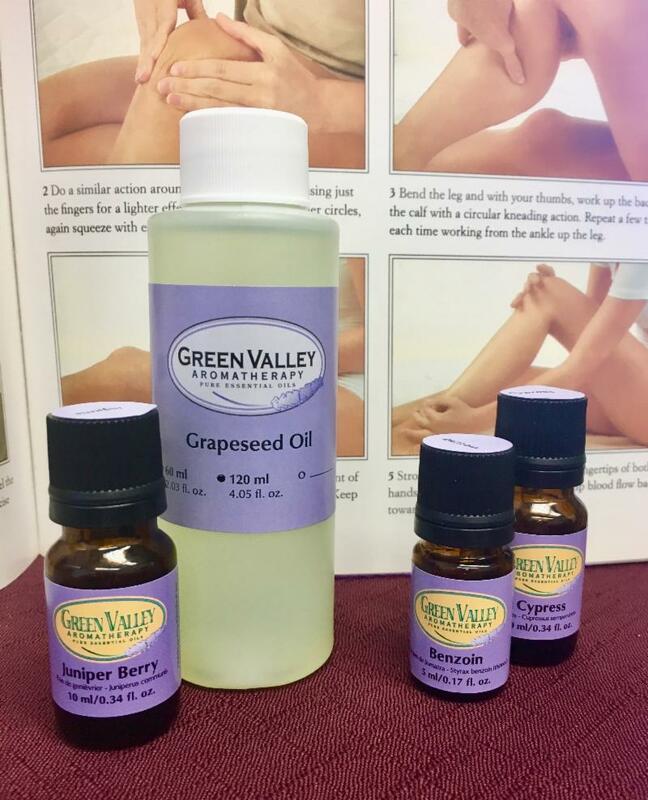 Add these drops of essential oil to your bath or add them to 10 mls of Grapeseed oil. Massage your legs, always towards your heart. Blood travels down your leg to your foot easily, but sometimes it has trouble getting back up. This causes problems if you are not active. Being active makes the heart beat faster, which in turn helps the blood to circulate better. These essential oils, along with the massage will help too. Two in a corner, one in a room, zero in a house but one in a shelter. The first five people to let us know the answer to this riddle will receive a free 10ml Tranquility Roll On with their next online order. 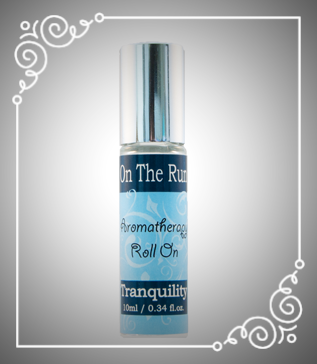 This blend of essential oils in coconut oil was developed to keep you feeling relaxed and calm. Last month’s riddle answer was Anchor. Congratulations to all who answered correctly!